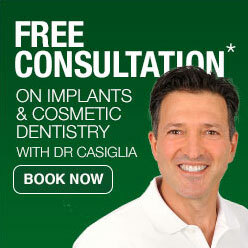 Would you like a brighter, more attractive smile? If your smile is no longer as white as it once was, Apple Dental can help. One of our most popular cosmetic dental treatments, teeth whitening is a simple procedure that can improve your smile quickly by brightening your teeth in only an hour. It’s very common for people to notice that their teeth are no longer as bright and white as they were. This darkening can be caused by consuming tea and coffee, red wine, or some fruit juices; by the harmful effects of smoking; or by taking some medications. You may even have teeth which are naturally darker, or notice the tiny white spots which are an early indication of tooth decay. All these conditions can usually be improved with a little help from teeth whitening procedures at Apple Dental. We can provide a choice of either instant teeth whitening in our comfortable Lane Cove practice, or a customised take home treatment that can whiten your teeth in your own home. Both our procedures are safe and very effective in removing deep teeth stains, using a specially formulated whitening gel to gently enter your teeth and lighten discoloured areas. Looking for a fast and convenient way to whiten your teeth? This is the right method for you! In our Lane Cove practice, your dentist uses a special bright light to whiten your teeth and quickly reduce discolouration. Our teeth whitening takes about one hour, which means you can drop by our centre even during your lunch break to achieve a dazzling new smile. Just imagine leaving our clinic flashing a rejuvenated smile with our high-quality treatment! If you’d prefer to whiten your teeth at home, this option lets you improve your smile using special custom-made trays that fit perfectly over your teeth. You simply put the special whitening gel into the trays, and wear them for about four to eight hours (making them ideal to wear overnight while you sleep). With just seven to 14 days of daily treatment you can achieve dazzling results – but you may already notice a significant improvement in just a few days. Both our teeth whitening treatments offer you similar results, with the only difference being the time you need to wait to achieve your desired outcome. For outstanding results we often recommend a combination of both techniques, including around three days with a take-home component, to achieve a rapid and long-lasting effect. 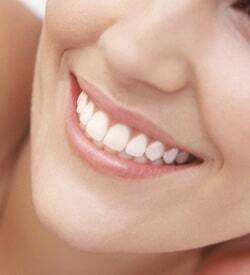 Is teeth whitening treatment right for you? The Apple Dental team will carry out a full examination to determine if you are a good candidate for teeth whitening, such as having a clean, decay-free mouth prior to your whitening treatment. Tooth whitening has proven to be a simple and effective way to lift the smiles of many people in the Lane Cove and Chatswood area. You too will be amazed at the difference it can make to your self-confidence! How does teeth whitening brighten my smile? The active ingredient in our teeth whitening treatments, hydrogen peroxide, is a bleaching agent that penetrates deeply into your teeth, to remove stains and whiten your smile. Your teeth whitening results will depend on the type of discolouration you have, as well as how you care for your teeth. While your teeth will always be lighter than they were, you may need occasional whitening maintenance every one to two years – particularly if you continue to consume things like tea or coffee, red wine or tobacco. What are the side effects to tooth whitening treatment? You may experience tooth hypersensitivity or gum irritation from the concentrated whitening gel. But don’t worry – by following the detailed instructions from our Apple Dental team, most of our patients have no side effects at all. Will teeth whitening work to lighten my restorations? No – if you currently have teeth restorations including dental crowns or bridges, dentures, or dental veneers, these areas will be unaffected by your treatment. Only your natural teeth will appear lighter thanks to teeth whitening. You are very welcome to contact us on (02) 9420 5050, or pay a visit at 1 Finlayson St Lane Cove NSW 2066 if you are interested in Teeth Whitening dental treatment.